South Africa announced that it would send additional troops to bolster a contingent of 200 soldiers who are already in the Central African Republic (CAR) to support embattled President Francois Bozize against rebels seeking to overthrow his government. The deployment comes less than a week after South African President Jacob Zuma dispatched Defence and Military Veterans Minister Nosiviwe Mapisa-Nqakula to assess the situation in CAR. Zuma’s additional deployment came as the rebels, who are an amalgamation of several different factions fighting under the name Seleka Coalition, seized two more towns from government forces as they made their push southward to the capital Bangui. 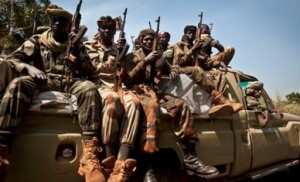 In late December 2012, neighbouring Chad sent hundreds of troops in an effort to prevent Bangui from falling to rebels. Gabon, the Republic of Congo, Chad and Cameroon had already deployed troops as part of the Central African Multinational Force (Fomac). On October 5, the UN Security Council said it was disturbed by the rebels’ push to the capital and said that this could impede peace talks scheduled to begin later this week. The Council “called again on all parties to seek a peaceful solution by engaging constructively, without preconditions, and in good faith in the negotiations to be held in Libreville [Gabon] beginning January 8 under the auspices of the Economic Community of the Central African States (ECCAS)”. The UN also said it was concerned about reports of child soldiers being recruited by rebel forces. Last month, Bozize called on the international community, including France and the US, to intervene to prevent the fall of the capital.